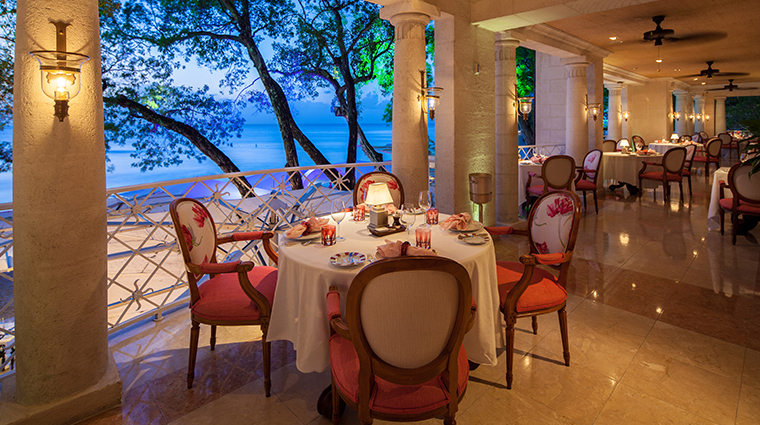 Savor the flavors of Barbados when you plan an escape to Forbes Travel Guide Five-Star Sandy Lane Hotel. 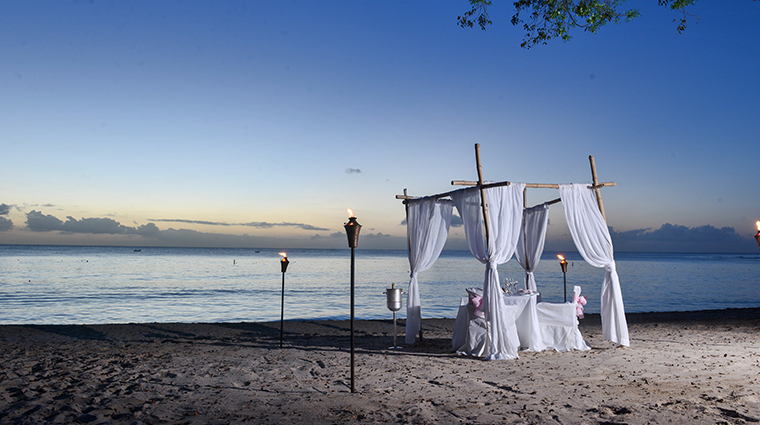 Book a five-night getaway in May, June or September and enjoy a $700 food and beverage credit to spend on elegant European fare at the open-air L’Acajou, chic Sunday brunch at beachfront Bajan Blue or on tastings in the well-stocked wine cellar. 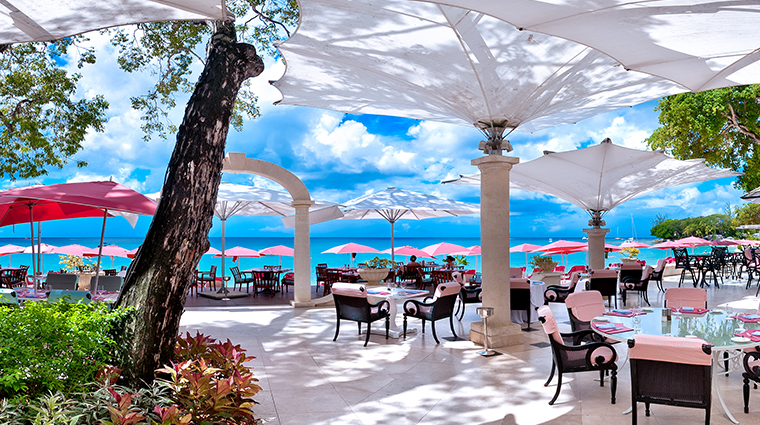 After Sandy Lane Hotel opened in 1961 on the west coast of Barbados, celebrities ranging from the likes Frank Sinatra to Mick Jagger frequented the spot, instantly putting it on the map of jetsetters around the world. When new owners took over the hotel in the late 1990s, they wanted to restore it to its former glory and elevate it even further. To do that, they deemed that a three-year closing was necessary. 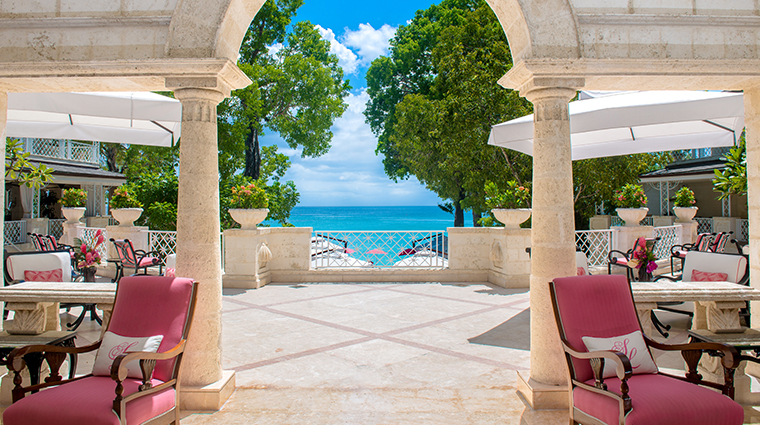 When Sandy Lane reemerged in 2001 with 96 rooms, 16 suites and one villa after a $280 million makeover that saw the old buildings torn down and replaced, A-list travelers again had a reason to celebrate: Their sanctuary had officially returned. 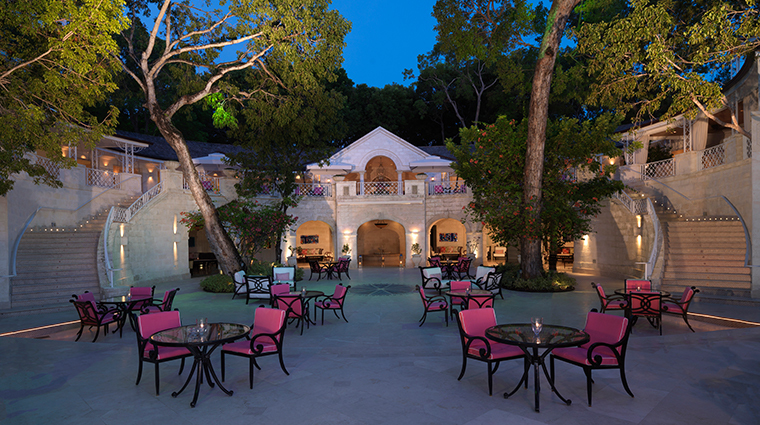 Today, Sandy Lane is once again a luxurious Caribbean retreat. 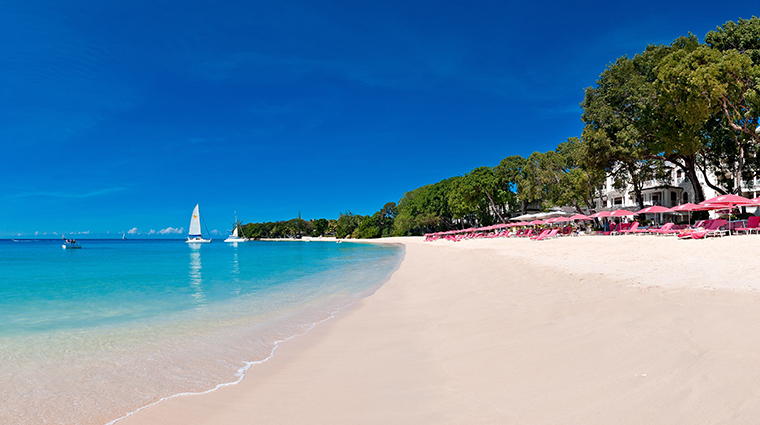 The combination of upscale amenities (beach attendants will serve you sorbet, clean your sunglasses and mist you with Evian) and stunning beach (white sand and crystal-clear blue water) results in a double dose of relaxation for guests. 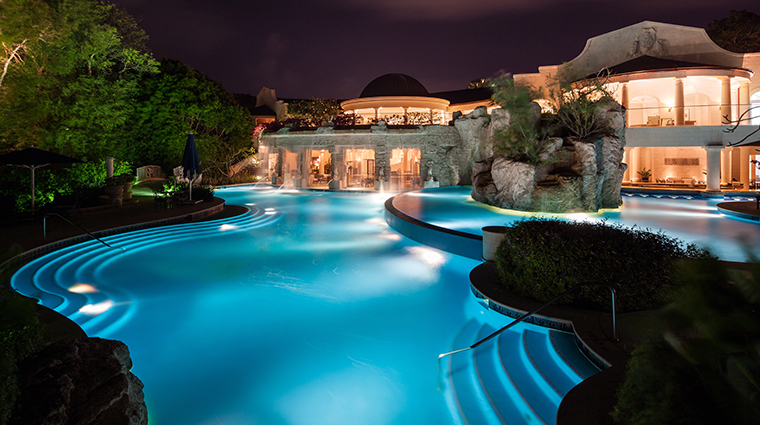 Because Sandy Lane was designed with celebrities in mind, everything seems to go that one extra mile, especially when it comes to the 47,000-square-foot spa, the largest in the Caribbean. 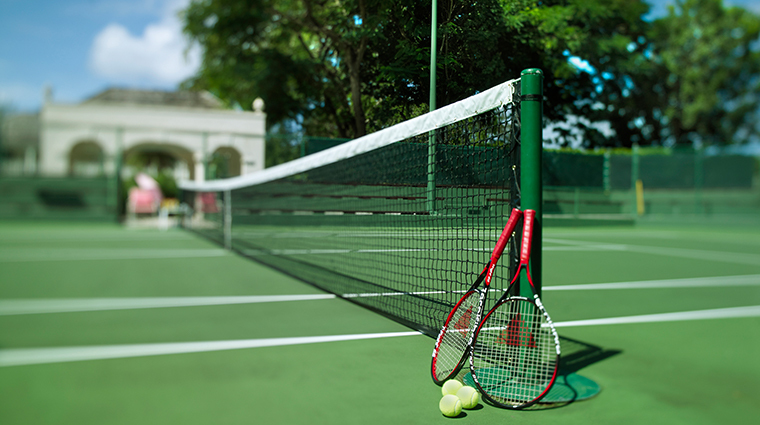 Tennis aces can opt for the nine floodlit courses, while those into watersports can visit the hotel’s beach club to arrange for skiing, scuba diving, a banana boat ride, kayaking, sailing or a swim with the turtles. The most famous of its three golf courses is known as the Green Monkey, which costs approximately $25 million and is widely considered to be one of, if not the, most expensive golf courses ever built. 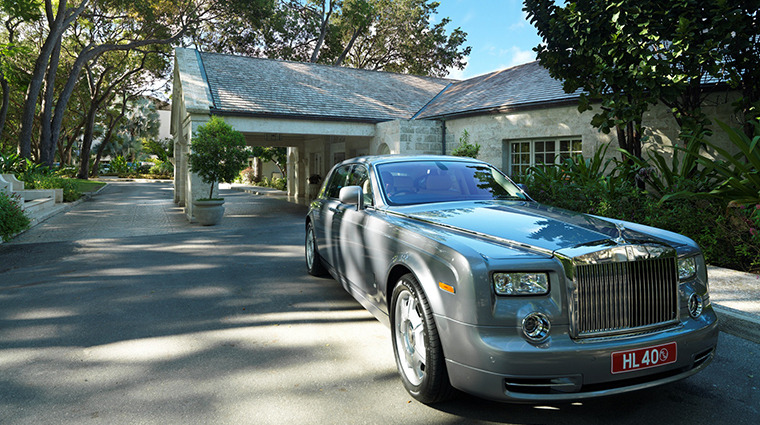 Be sure to take advantage of Sandy Lane’s complimentary airport transfers in a Mercedes or BMW (or spring for an upgrade to be chauffeured in a Rolls-Royce). 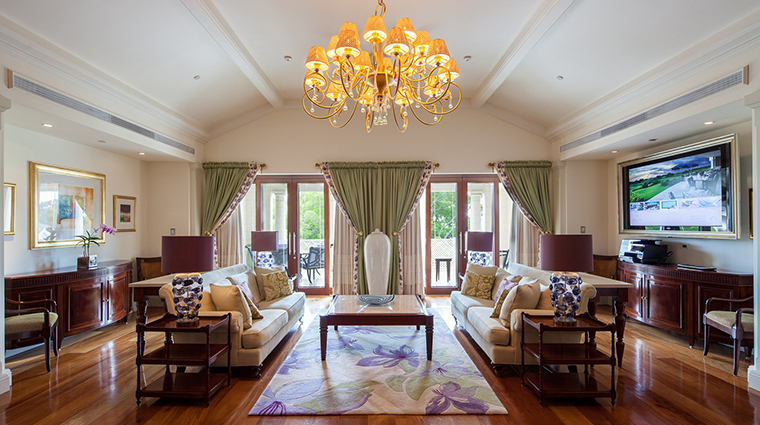 And when you arrive, make use of the hotel’s complimentary unpacking service (staff will pack for you on your way out as well) while you grab a bite or a drink at the four onsite restaurants or seven bars. Green Monkey golf course access is only granted to guests of the Barbados hotel and limited to a few thousand rounds per year total, retaining its rep as an exclusive outing sure to be on every golfer’s bucket list. 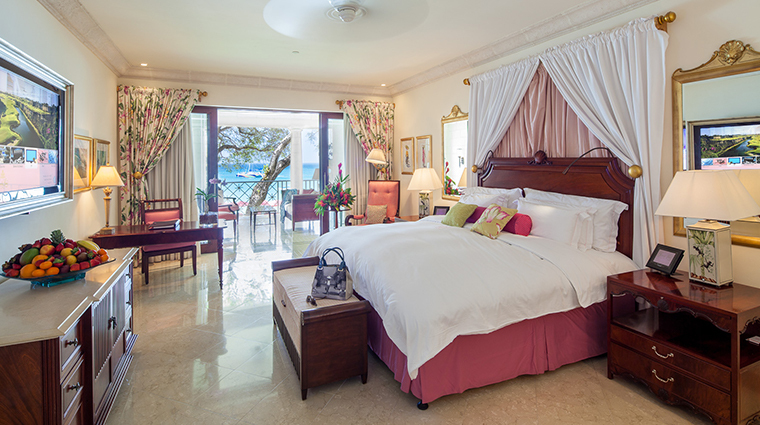 There are spacious 779-square-foot Orchid rooms, where pastel Caribbean colors provide a soothing vibe for relaxation. 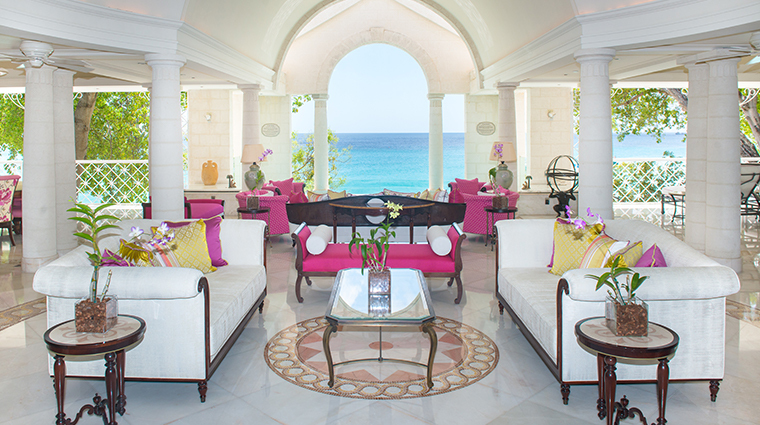 Patios are present in all rooms, bringing the green of the garden or the blue of the sea into the background. As the room class increases, so do the decadent details. 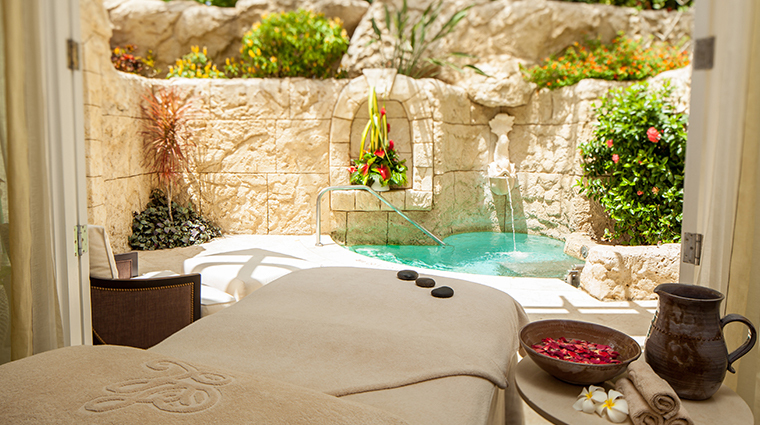 For the Luxury Orchid Suites, you’ll find showers with multiple heads and body jets and doorjambs made of coral. 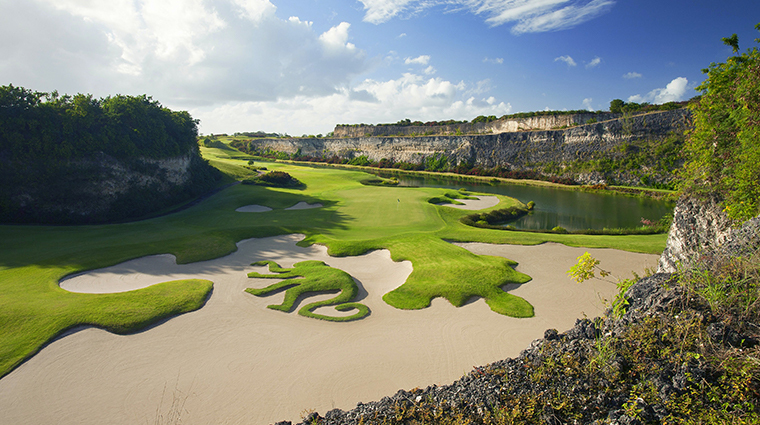 Designed by Tom Fazio, the luxe Green Monkey golf course features a monster 635-yard 9th hole and scenery that alters between a rock quarry and ocean views. 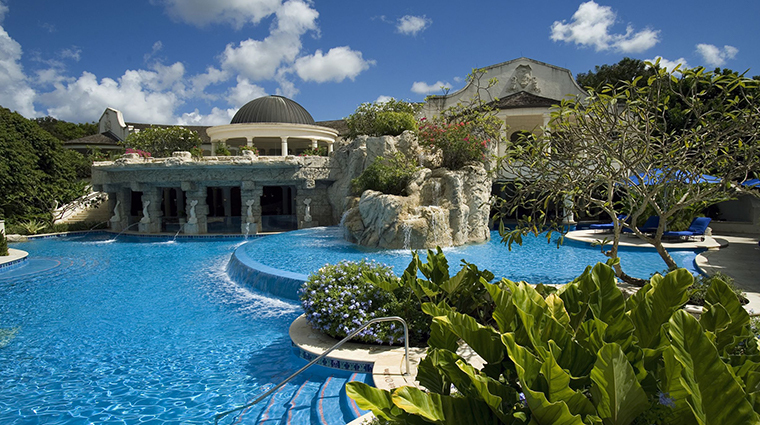 The spa rotunda design features a waterfall that flows down in front of the empire-esque columns into the 7,500-square-foot freshwater resort pool, and inside a marble reception area with a winding staircase leads down to the treatment rooms. 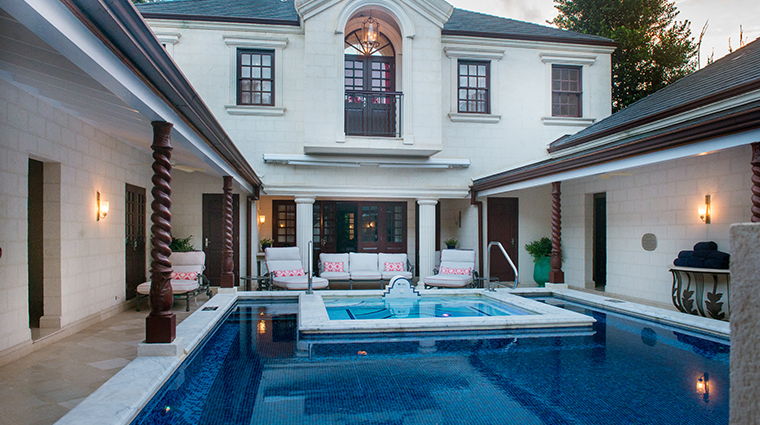 All 11 treatment rooms have their own bathrooms as well as a private landscaped garden or hydrotherapy pool. 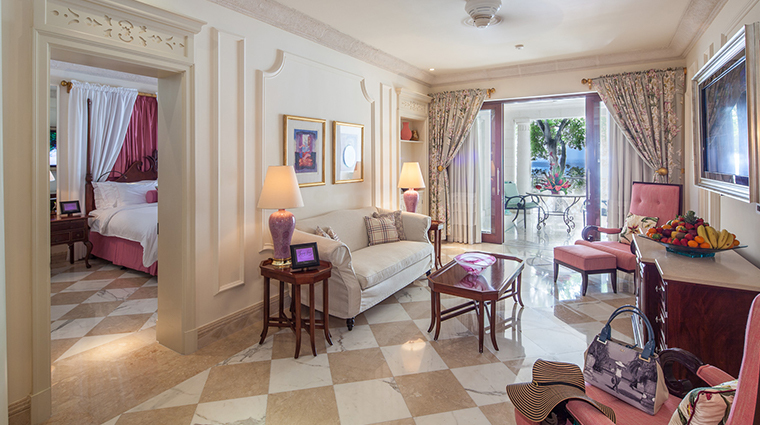 The guestrooms’ modern design feature mahogany furniture, gilt décor, marble floors and white walls.